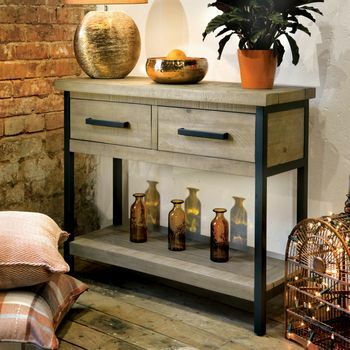 The Pendlebury Console Table is vintage industrial styling, finished in a contemporary way. One metre in length and a good height at eighty centimetres tall, this is ideal for a hallway or living room in a contemporary home. Powdercoated steel gives a smart, contemporary finish. 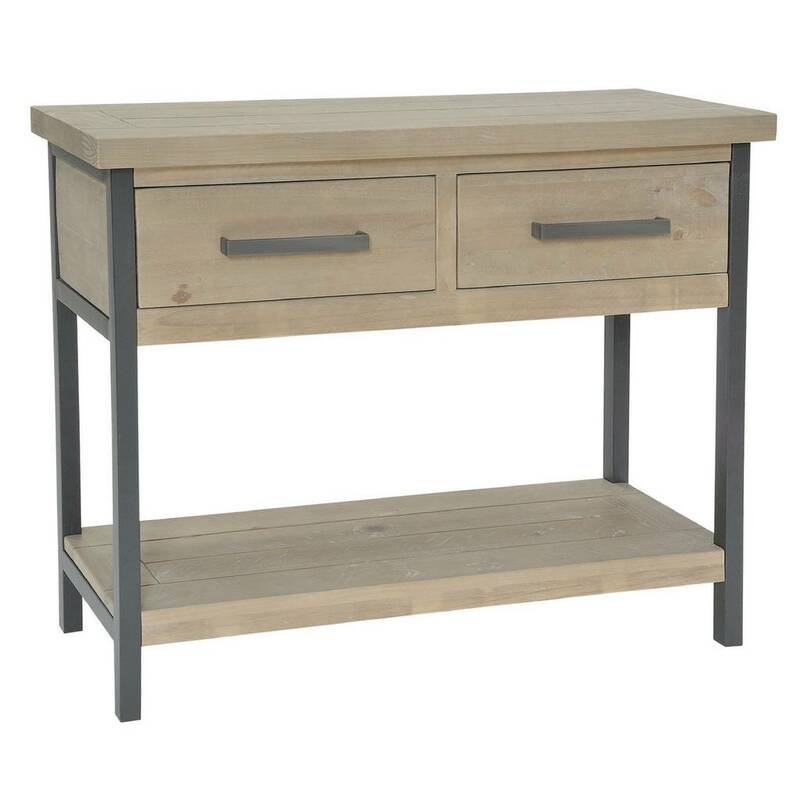 The timber is new pine, with a semi rough sawn, tactile finish. A greywash tint is applied.